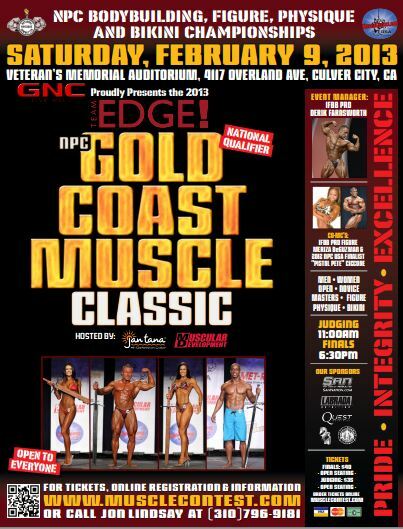 The 2013 NPC Gold Coast Muscle Classic Men’s Bodybuilding, Figure, Bikini and Physique contest will be held at Culver City, California on February 9th, 2013. Here is more info on the event. 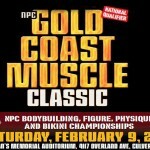 This marks the start of the NPC contest promoted by Jon Lindsay here in California. Prejudging for the 2013 NPC Gold Coast will begin at 11am on Saturday, while the finals start at 6:30.